Bought an ion that I just fixed up. Did not come with a lock. I tried installing a cam lock the same way I have on auroras but every way I try to orient the lock, it isn't catching. Does anyone know a lock I can buy or can post pictures of their locks to give me some insight on how this should work? a standard 3/4" lock should work just fine. 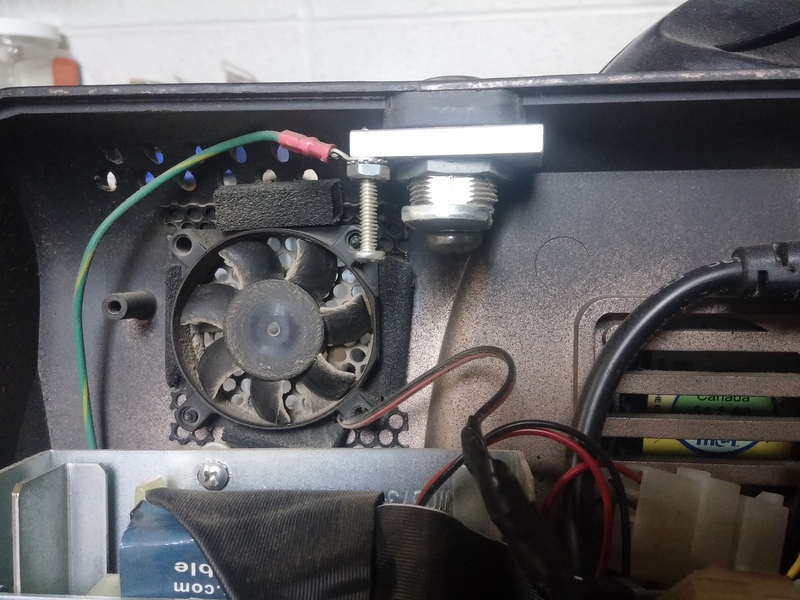 I don't have an aurora here in shop or i'd take a picture (all machines are on location) but if I recall it's possible to reassemble the locking cam in the cabinet 90 degrees out. it will appear to work but you won't be able to lock or unlock because it's pushing the latch mechanism in the wrong direction. I'll snap a pic if i'm out and about and one is there. I've replaced them in the aurora fine. But this is an ion. The standard lock I use on the auroras doesn't seem to catch the latch. Oh, the EVO. I thought you where having issue with an Aurora. The top lock for the board or the side lock for the cash area? Ed12, your alive! Thought you were dead. Did you forget about this section? I only follow this section. I just havent noticed your name on the main forum page in awhile. Thought you were dead. Good to see that your still around. this is the lock in the locked position. 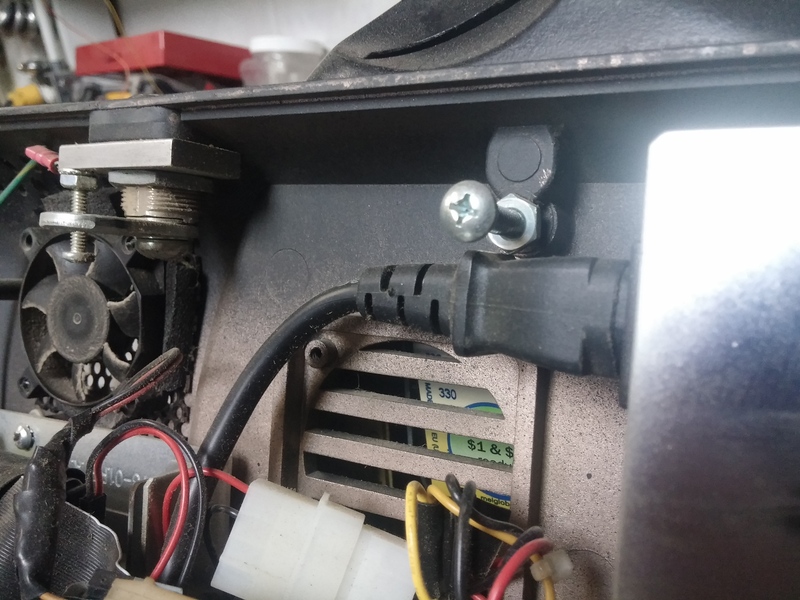 when you close the cover to lock it it engages the left side of the sliding mechanisim on the monitor side and the bolt sticking out of the middle of the back part of the cabinet should fit in the slot. if it's not closing all the way, you may need to back off the bolt in the middle a tiny bit. I picked up two Ion Evos and they didn't come with keys. I'd like to replace both sets of locks; What do you recommend? Go to lowes.com and search for item # 252837 - I believe this is the exact lock I used. Did you use these for both locks? So.. How the hell to you replace the CPU Lock? I've got it open and do not see a way to remove it. There is a hole on one side that seems to have a button? in it. I feel a tension release/engage, but cannot remove the bottom assembly. Perhaps it only works if you have the correct key? The cash door lock has the phillips head on the bottom and I've already removed that lock. It appears to be one molded piece, as you can see in the pictures. u c the small slot in the middle ? if u cannot get it easy way ? that is an unusual lock. it must be a really early cabinet. all the machines we have (20 some odd) all came with a standard "cam" lock like I pictured. if you are looking to just replace it, just grab the golden slider part with a pair of vicegrips and twist it off. the body is just pot metal, it'll break clean off. I got clarification from a Megatouch guy yesterday. The lock is the factory lock for the Ion, not the Force Ion. The standard cam locks are on the cash boxes, but the CPU locks are cam yet different. He directly recommended against twisting it off as the bottom part(with the "slot") is a cast piece the tab locks into, as it would damage the case. He is sending me a key with the replacement power supply I ordered for another unit. Luckily, he said it's the same key for all Ion CPU locks and can be duped at @ Depot. Thanks for helping me get to the bottom of it. wierd. is that key a L564? because yes, they are all the same... but no, it's not the same as what I have on ANY of our machines. unless that was some kind of replacement lock for the original cam lock. i know the setup to lock the front is a joke...so i wonder if that lock you have there was a "fix" for it. Yeah, it's odd. The entire lot of these Ion Evos had the same thing. The key arrived today so at least thats working now. Of course I've ended up with some other issues that I need to sort out. i'll let you know now, the purple ECS boards used in the silver ION's where absolute TRASH. the caps powering the northbridge crap out and the ripple casues the northbridge to overheat. you can change out the caps, but the northbridge is never the same again. sometimes you can find a decent replacement on ebay used. look for an Asus A7NBX-VM. it's a little better designed and lasts much longer than the ECS board. NOTE: you will have to modify the IO board mounting plate to clear the power connector because it's in a weird place on the board. if you really feel like going crazy with changing the boards for something MUCH better, find some used intel D945GCLF (or GCLF2) you'll need to find a way to mount everything in there because this board is an ITX board not ATX. this is the newest board that was used in the RX machines. as such, you will have to run at least ION system version 2009 or later. for the board to work. I'll start a clean thread for my 2013 issues. Thanks. Hate to be that guy, but its 2009.5 or later. I'd love to, but one is a 2007 & the other is a 2013. Maybe if I can find a relatively inexpensive software update for the 2007, I'll do both. well, if you gonna be right, better be 100% right. Will the 2009 key work on a 2009.5 build? Yep. I knew I wasn't crazy. I was trying to remove the cam before I had a CPU key. The trick here is that the bottom half doesn't come out and you have to replace the tumbler set. Good stuff. Page created in 0.176 seconds with 55 queries.